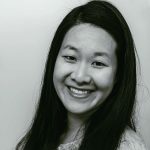 Published Dec 21, 2016 By Julia 10 CommentsThis post may contain affiliate links. 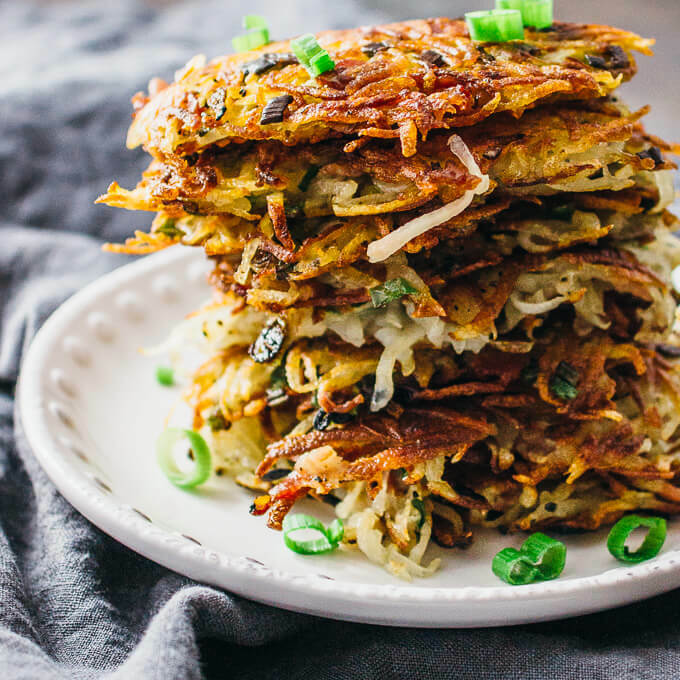 These hash browns are packed with fresh scallions and diced bacon, and pan-fried with butter until extra crispy. 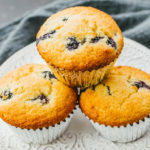 It’s an easy recipe with just a few main ingredients and perfect for breakfast or brunch. GIVEAWAY: Since you’ll need a food processor to make hash browns, I’m giving away a free Hamilton Beach professional food processor worth $200 to a lucky reader. Scroll down for details. 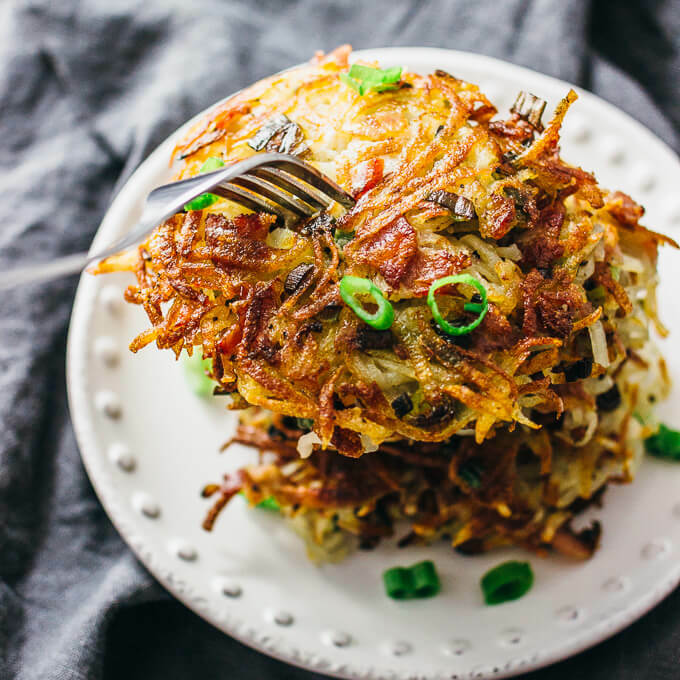 Bacon hash browns. I think that neatly sums up everything I love most in a single dish. 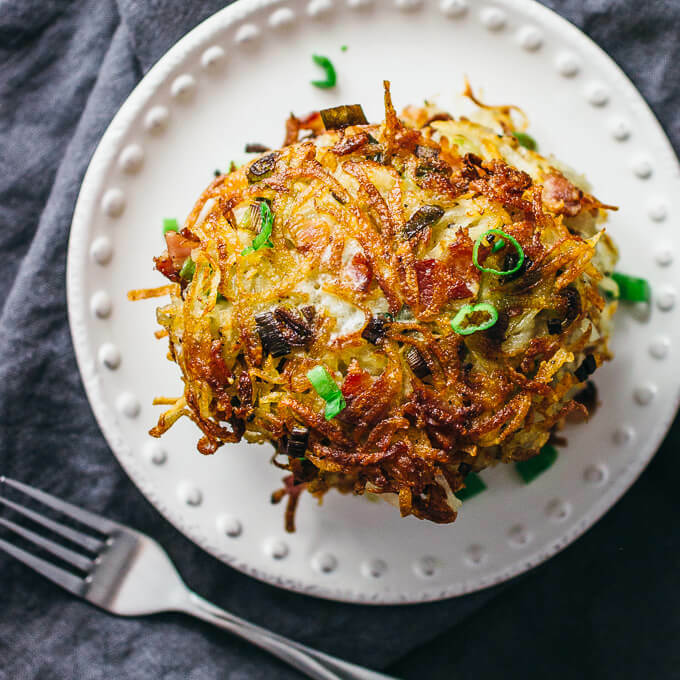 This is one of those recipes where the food gets devoured faster than it can be cooked; I found myself pan-frying these hash browns in batches but couldn’t keep up with demand, aka my ravenous appetite and Mr. Savory Tooth’s insistent cries for more. At one point, I was balancing multiple pans on multiple stovetop burners so that I could cook more hash browns simultaneously. This recipe is just that good, and really, you can’t go wrong with the irresistible combination of bacon, shredded potatoes, and butter. 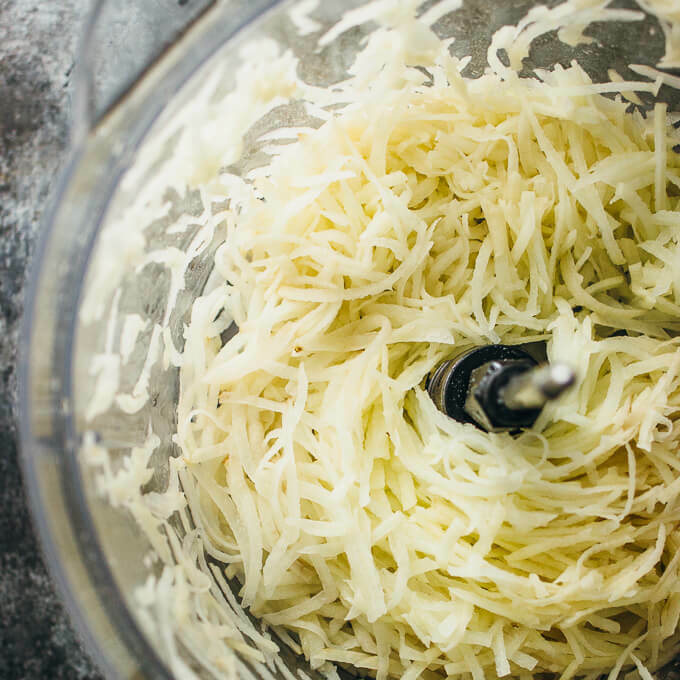 To make hash browns at home, you’ll need a competent food processor to shred all of those Russet potatoes. I used a large Hamilton Beach professional food processor capable of holding 14 cups. It can do just about everything: shred, slice, dice, chop, mix, puree, and even knead. Its tools are housed in a blade garage, a separate container with compartments for all of its tools. I was most impressed by its adjustable slicing tool, which has 14 thickness settings from 1/32 to 1/4 inch. I plan to use this slicing blade to make extra thin homemade potato chips, as I continue in my quest to consume potatoes in just about every form. After shredding the potatoes, wring out any moisture from them. Moisture is the enemy of crispiness. To do this, I prefer using a nut milk bag or cheesecloth, but a tea towel also works great. Use thin patties. Work with small amounts of hash browns at a time, about 1/2 cup or less. 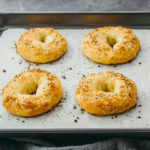 Once they are added to your pan, flatten them into thin rounds. The thinner they are, they crispier they will get. Cook on medium heat, not medium-high heat. 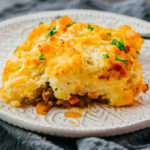 Anything hotter than medium heat will cook too fast and the exterior of the hash browns will get a little burnt before the interior is cooked enough. At medium heat, the hash browns cook more evenly and can get more crispy. 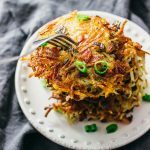 These hash browns are packed with fresh scallions and diced bacon, and pan-fried with butter until extra crispy. Run the potatoes through a food processor using the shred disk. Wring out any moisture from the potato shreds using cheesecloth, tea towel, or nut milk bag. In a large bowl, toss the potato shreds with bacon, scallions, salt, and pepper. Heat a large pan over medium heat until very hot, about 5 minutes. Add about 1/2 cup of shredded potato mixture to the pan, and then flatten using a spatula. Drizzle a portion of the melted butter on it. Cook until the bottom of the hash brown patty is crispy, about 5 minutes. Flip the patty and cook until the bottom side is crispy, about 5 minutes. Drain on a paper towel. Work in batches and repeat for the remainder of the hash brown mixture. This giveaway is sponsored by Hamilton Beach. The prize is a Hamilton Beach Professional 14 Cup Dicing Food Processor. To participate, you must be 18 years or older and reside in the 50 United States or D.C. Hamilton Beach is unable to ship to P.O. Boxes. The giveaway will start on Wednesday, December 21, 2016 at 06:00 am EST and end on Tuesday, January 31, 2017 at 11:59 pm EST. The winner will be chosen at random. The winner will be contacted via email and given 48 hours to respond. If they do not respond, a new winner will be chosen. Your email address and name will never be given out to anyone. The giveaway has concluded and a winner has been chosen. Thank you for participating. No purchase necessary to enter. To enter, fill out and submit the form below, which will enter you into the giveaway and subscribe you to the savory tooth mailing list (if you aren’t already a member). You must be subscribed at the close of the giveaway to be considered. After clicking “Enter,” check your email to confirm your entry. Can’t wait to try this recipe! Sounds delicous! ahh they look so golden brown and crispy!!! plus bacon always helps. New Christmas morning recipe to try. Thanks!